Also called Black Gum, this is certainly one of our most beautiful native trees. Its habit is broadly pyramidal with picturesque, horizontal branching. Bark is dark brown, nearly black with alligator-like patterns. 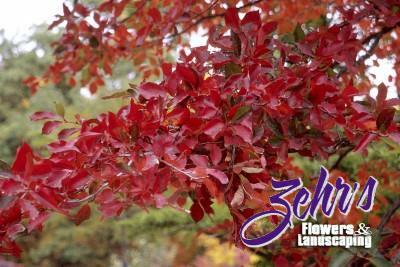 Lustrous dark green foliage has a consistent, outstanding fall color. Some trees will produce numerous blue-black fruit in autumn, while others only a few or none. Excellent shade or street tree, it's especially lovely in naturalized areas. Prefers moist, well-drained, slightly acidic soil in full sun or semi-shade. Missouri Botanical Plant of Merit winner.